Facebook isn’t one to stop iterating, and the social networking giant is showing no signs of slowing down. 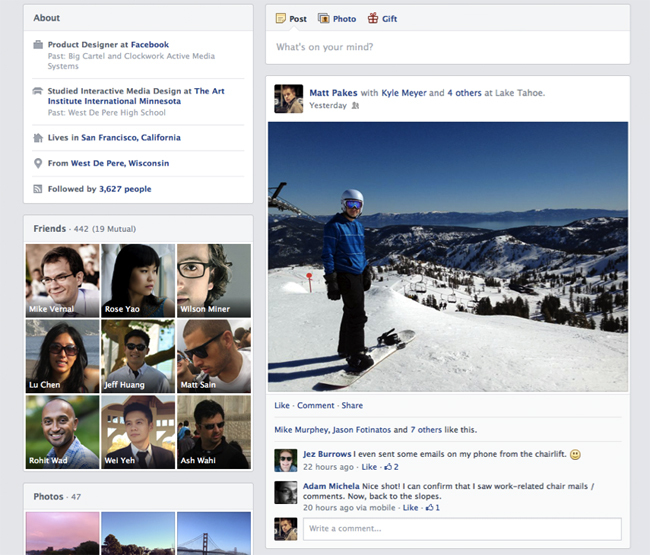 Last week, it was a sneak peak of a brand-new news feed design, among other things. Today, it’s a heads-up for upcoming modifications to your Facebook Timeline. To address a popular request for a more organized and easily readable timeline, Facebook announced that beginning today, users can enjoy a one-column timeline that isolates posts on the right side, while recent activity as well as photos and music are kept on the left. Your Facebook About page will also undergo reorganization to better highlight your movie, music, TV, and book preferences. Each category will have its own allotted space on the page, right beside your photos and friends. The Movies section can feature films you like and can be marked as Watched or Want to Watch, and you can use apps like Netflix to let your friends know what’s playing. Similarly, the Books section can contain books you pick from Goodreads and has Read and Want to Read tabs that will help you keep track of your book queue. 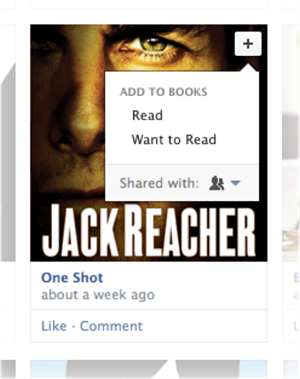 Every book a Facebook friend adds into their Books section can also be added to yours with a click of the add button. Other Facebook apps you use will also have a spot on your timeline, should you choose to feature it prominently. You always have an option of removing an app from your About page through the Activity Log. These changes will be rolling out to users all this week, and until everybody has the new News Feed, we can certainly expect more upgrades and changes to improve and streamline our Facebook experience.